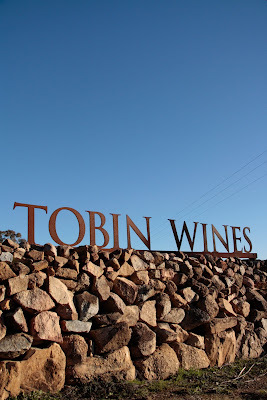 This is Adrian Tobin, proprietor of Tobin Wines, Ballandean. 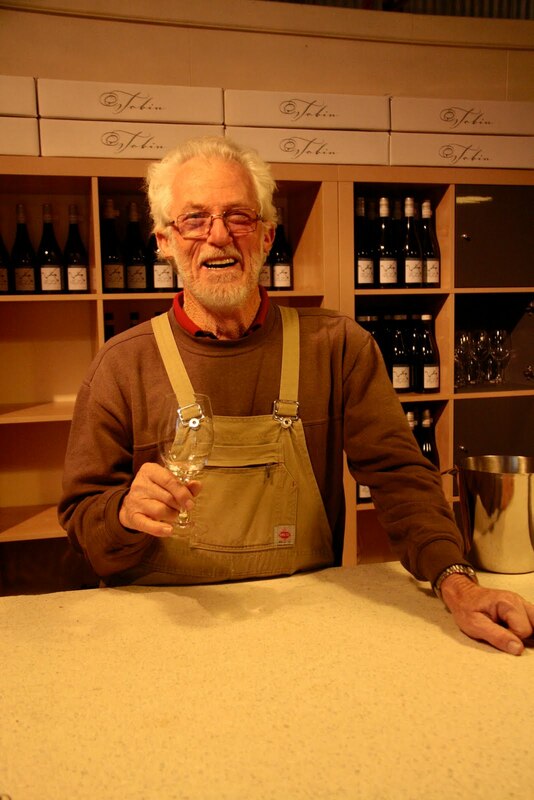 I'm not at all biased (he did name two of his wines after my children) but his wines are the best you'll find in Queensland. He really believes in the concept of terroir, the micro-climate that produces wines of great quality that reflect the granite soil, the rainfall, the hours of sunshine and the cold winter frosts particular to this part of the world. His cabernet is particularly wonderful with aromas of violets and rose petals, with blackberry, cherry plum and dark chocolate on the palate. He's also become well known for his tempranillo and verdelho, both of which have won awards and are highly regarded by Australian wine writers. Adrian always impresses me with his passion and knowledge and the vineyard is so enjoyable to walk through - a testament to his hard work and dedication to producing the best possible fruit in order to make highly individual wines. 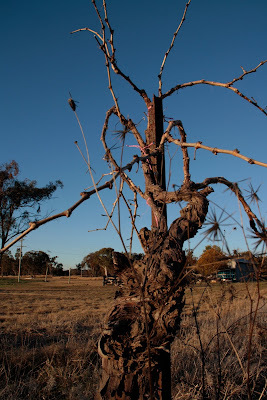 The intense blue winter sky looks over gnarled eighty year old shiraz vines, and neat rows of semillon and chardonnay grapes, all surrounded by a dry-stone wall pieced together stone by stone from the local pink granite. Inside the cellar door the pot belly stove is burning away, adding a faint aroma of woodsmoke to the warm smell of wine and oak inside. 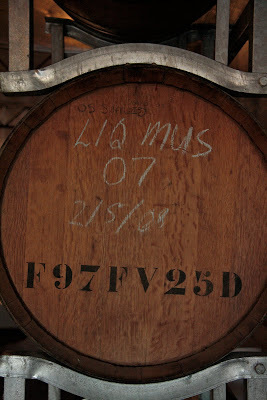 It's a nice way to while away a cold afternoon, sipping, tasting, learning, enjoying. I realise how much I've really missed good Australain wines in Shanghai, from small wineries like this one, that just taste of the coutryside they came from. 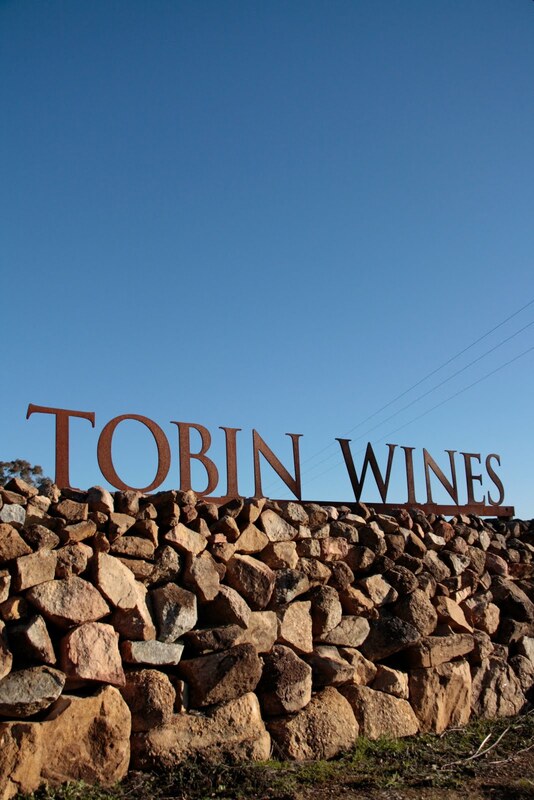 You can find further information about Tobin Wines here.